Our last episode featured words by Phillis Wheatley, whose story I first heard about in a graveyard. 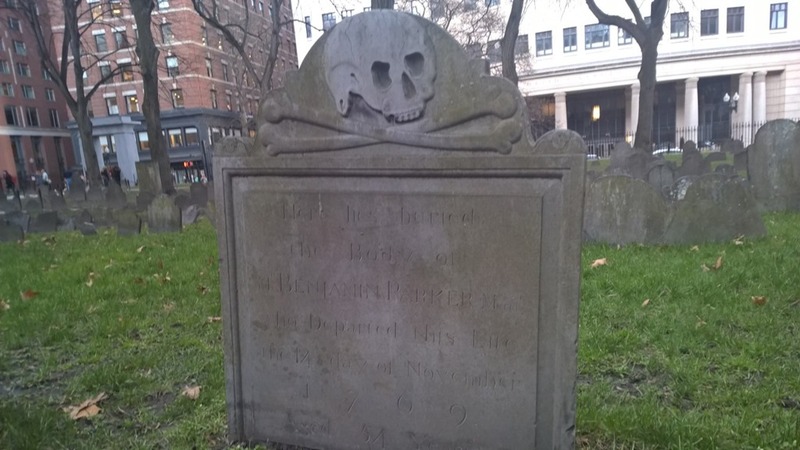 I was taking a walking tour in Boston, and there was a lot for the guide to talk about as we strolled through the Granary Burying Ground near one end of Boston Common, the cemetery where many of the instigators of the American revolution are buried. That’s where I heard Phillis Wheatley’s story. There’s no tombstone for Phillis Wheatley there, and no record of where she was buried, though it could have been there. So, we don’t even know her graveyard, but we know her story. Only a few days after wrapping up the work on the Phillis Wheatley episode, I happened to catch Viola Davis’ Oscar acceptance speech. Like David Harbour’s speech earlier this year, it compressed an artist’s calling into a few well-chosen words, and so, I set about creating today’s audio piece. There’s one place that all the people with the greatest potential are gathered – that’s the graveyard. People ask me, what kind of stories do you want to tell? They are the only profession that celebrates what it is to live a life. Here’s to August Wilson, who exhumed, and exalted, the ordinary people. There are only a few words here, but the opening sentence announces itself strongly, while going—to my take on it—in two directions. “There’s one place that all the people with the greatest potential are gathered—and that’s the graveyard.” In that magnificent sentence, we may think of all the potential that’s totaled up short in every graveyard: potential lost due to life’s duration, lost due to injustice, lost to just bad luck, potential never reached for the many human failings. One of the most common of those human failings is to just not try, and when we fail to try, the graveyard is where that potential will end up. This direction, where the sentence could go, is not where Davis takes us however. She reminds us: there, in those graveyard lives is that precious struggle, the part-ways reach, all the somedays that someday may see victories. We should “exhume those stories,” she says. Can that be so? Certainly, historians and social scientists collect and analyze information about lives too—but perhaps they must step beyond that role to light the footlights that art does. Art is the transference of the emotions and the perceiving inner being between people. Only at that level of communication can the celebration of what it means to live a life be reached. That’s what we do when we create art, or when we consume it actively. Davis repeats her specific charge to artists, as she praises the creative acts of August Wilson, the writer and playwright: art’s radical empathy empowers and obligates artists to tell other people’s stories. Writers listen to her here, listen to her evoke August Wilson: even your story is not your story. It’s your great-grandparent’s story, perhaps it will be your great-grandchild’s story. The graveyard, the grocery store and the stars are full of stories. Allow them to ask you to tell them. Viola Davis delivered her words much better than I could, but today’s Parlando Project piece “Potential/Graveyards” adds the music I composed and played to go with my recasting of them., To hear this short piece, use the player below.